Moissanite was first discovered in a crater created by a meteorite that fell to Earth. The stone’s namesake, a French chemist named Henri Moissan, originally thought he had discovered space diamonds, but soon determined that the white, brilliant stones were a different material all together. Today, jewelry-grade moissanite is lab-created, which means these stones are consistently beautiful, socially responsible, and less expensive than natural diamonds. They are often colorless or near-colorless, but have flashes of color when the light hits them just so. This sparkle rivals that of diamond, making moissanite a great, contemporary choice for an engagement ring. Before diamond became the go-to stone for engagement rings in the 1900s, sapphires had been the popular choice. Two very famous engagement rings from different eras feature sapphires--the ring Napoleon Bonaparte gave to Josephine de Beauharnais; and the ring Prince Charles gave to Princess Diana, which is now worn by Kate Middleton after her engagement to Prince William. Traditionally, blue sapphires have been used for engagement rings, but sapphires come in all different colors--why not pick your significant other’s favorite color? A contemporary twist to a classic style! Ruby and sapphire are both made of the same mineral, corundum; the only difference? Rubies are red, any other color is designated sapphire. 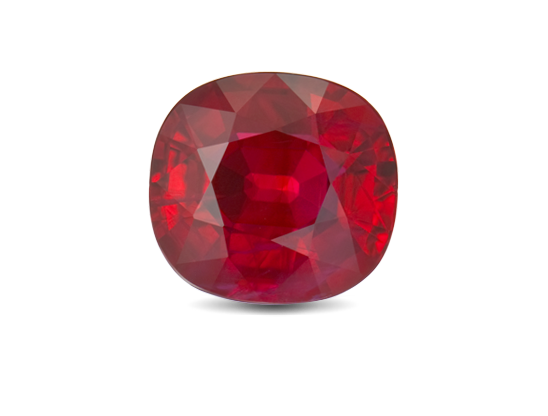 Both ruby and sapphire are durable, hard material (diamond is the hardest material on Earth, but corundum isn’t too far behind! ), which makes them great options for daily wear. Though this red stone isn’t a traditional choice for an engagement ring, its deep color and fiery sparkle make it an appealing option.